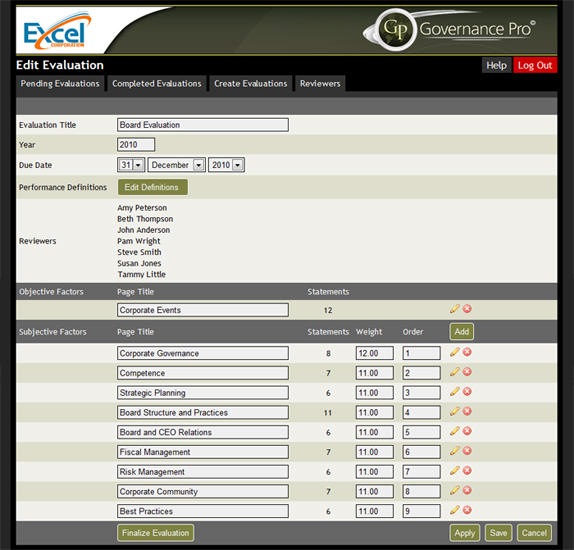 Governance Pro© is the most cost-effective web-based Board/CEO evaluation tool available on the market today. 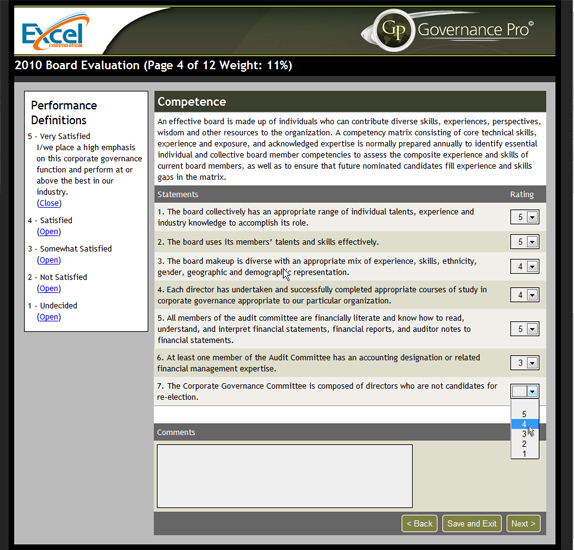 Developed by leading governance experts, Governance Pro© replaces the outdated paper based board evaluation processes still used by most organizations with an innovative online board assessment solution that is guaranteed to improve board performance while saving your organization considerable time and money. Now more than ever, governing boards face a daunting task. To succeed in their responsibility to the organization and its stakeholders the board must make a serious commitment to regularly evaluate their governance performance. The principle objective of evaluating Board/CEO performance is to acknowledge the good; identify areas where improvement is needed; and to engage everyone in building a sound organization through honest communication. Governance Pro© is quickly becoming the online board assessment solution of choice by organizations all over North America. 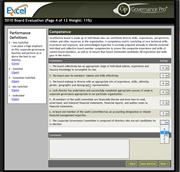 Its comprehensive suite of eleven fully customizable performance evaluation templates, user-friendly navigation and intuitive web-based format makes it easy for your board to accurately evaluate the performance of the board, its board members, board committee’s, the CEO and senior executive team; as well as your organizations strategic plan. With Governance Pro©, you gain the necessary framework to take complete ownership of your governance process from start-to-finish so you can perform a more efficient, effective and thorough evaluation every time. Improve board policies and processes; and more.